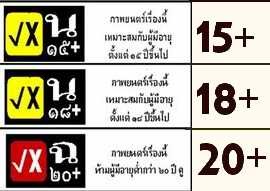 Thailand's National Legislative Assembly passed the controversial Film Act in a last gasp flurry of bills before a new government is elected. An eight-month-long campaign by local film professionals to end censorship went unheeded. The new law stipulates a rating system which still gives the state the right to ban a movie and prevent its release in the kingdom. 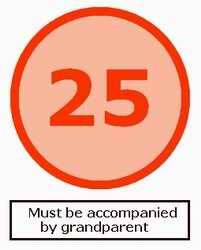 The rating system is made up of "P" (films that are of educational value, "G" (suitable for all age groups), and age restricted categories 13,15,18,20. The previously mooted 25 age category did not make the final bill. Notably, the Film Act authorizes the state to forbid the release of movies that undermine or disrupt social order and moral decency, or that might impact national security or the pride of the nation. Another controversial point is the article that sees the country's chief of police join the National Film and Video Committee. Previous drafts of the law did not include the police as members of the rating committee, though historically the police have chaired the film censorship board. To implement the rating system, a supplementary law will have to be written to cover operational aspects. 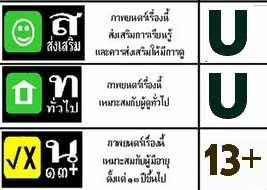 But it's not clear when the system will actually be implemented in Thai theaters.